“Yellow” is part of my color study series of collages. I collected “found” materials that were yellow to create this piece. 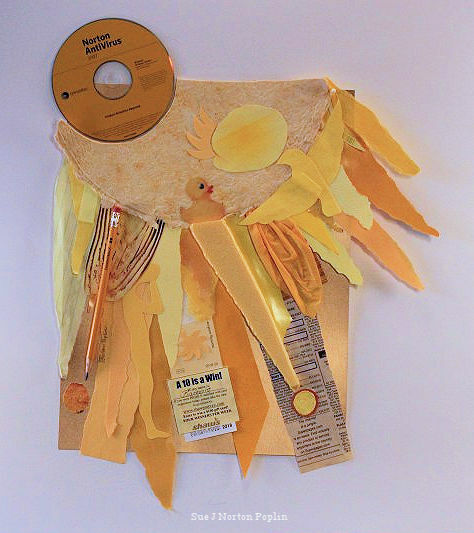 Some of the materials I used are torn paper, handmade paper from pulp, paste paper, yellow pages, a yellow #2 pencil, a picture of a yellow rubber duck, Styrofoam meat trays and a Norton AntiVirus CD.